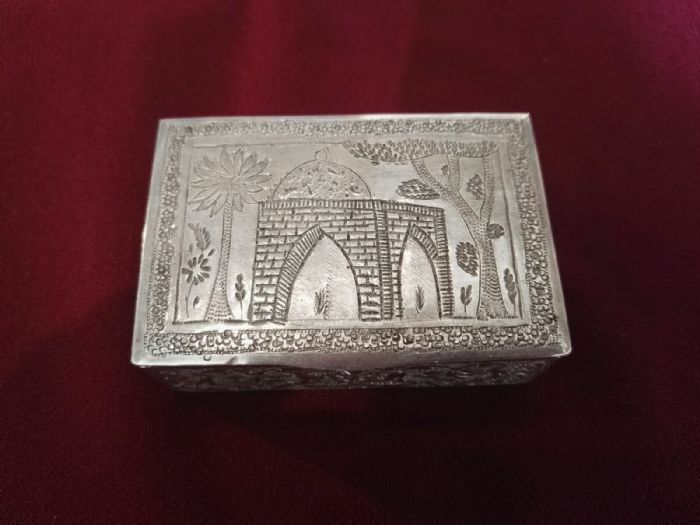 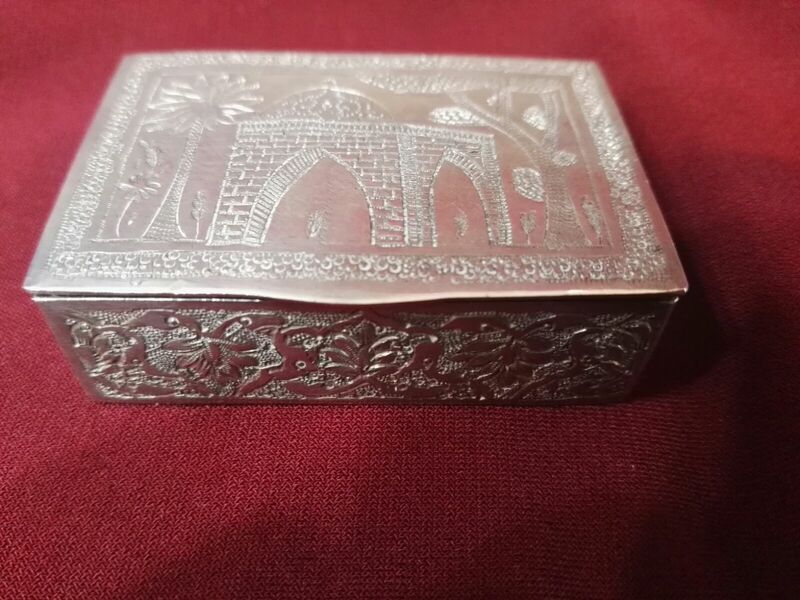 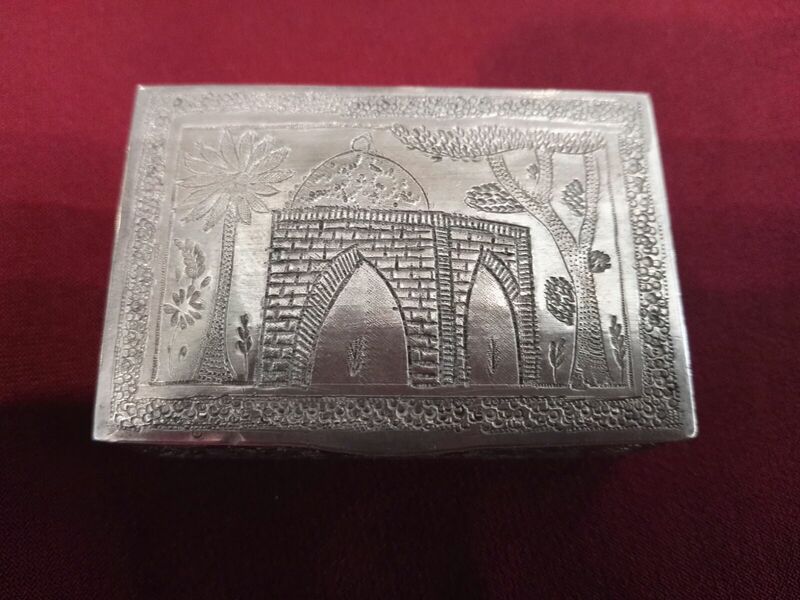 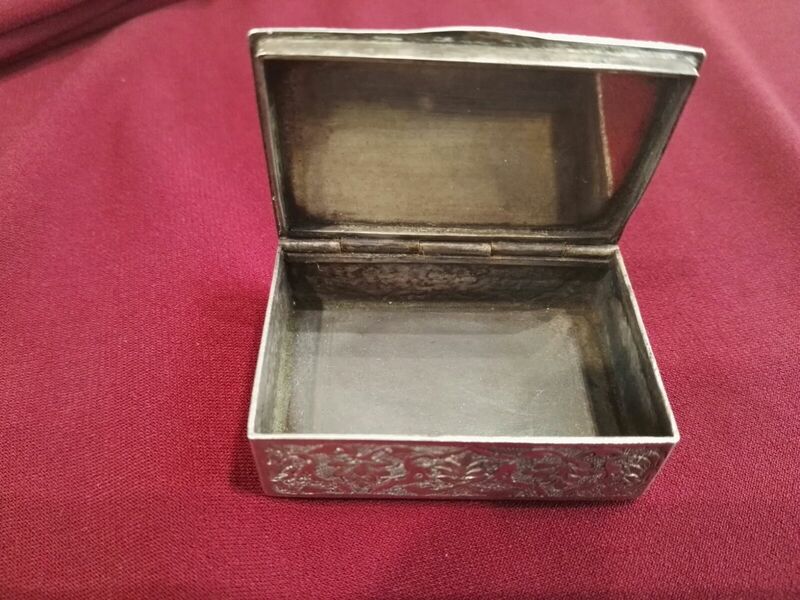 Iranian silver hinged snuff box depicting on the lid "The Tomb of Rachel". 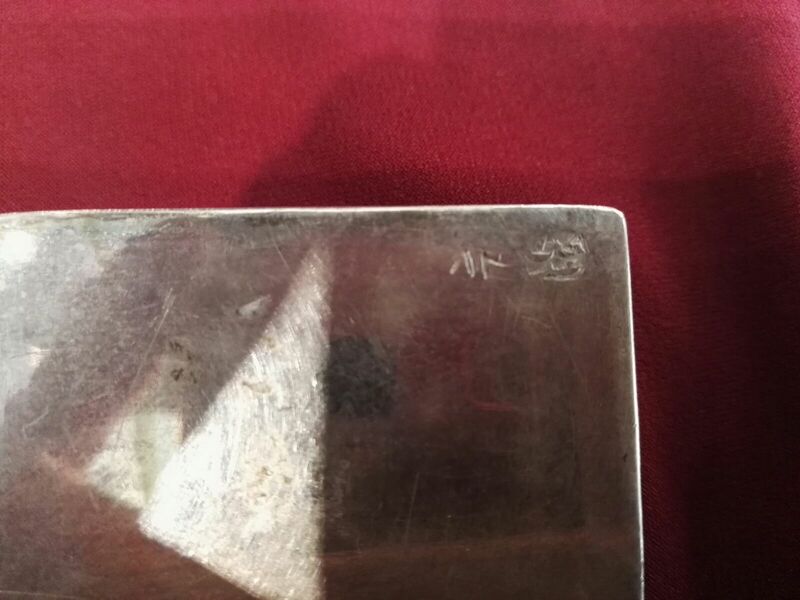 Chased on the sides and marked on the base. 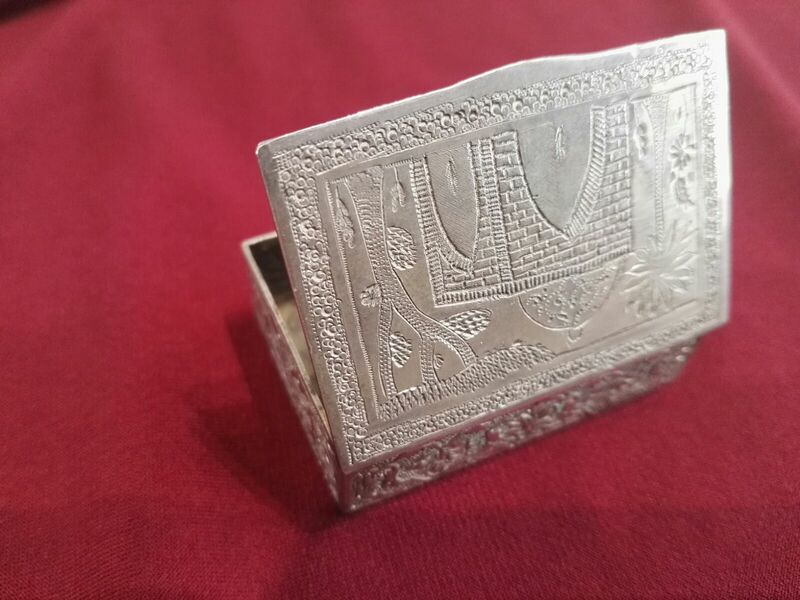 Size 4.3cm X 3cm.